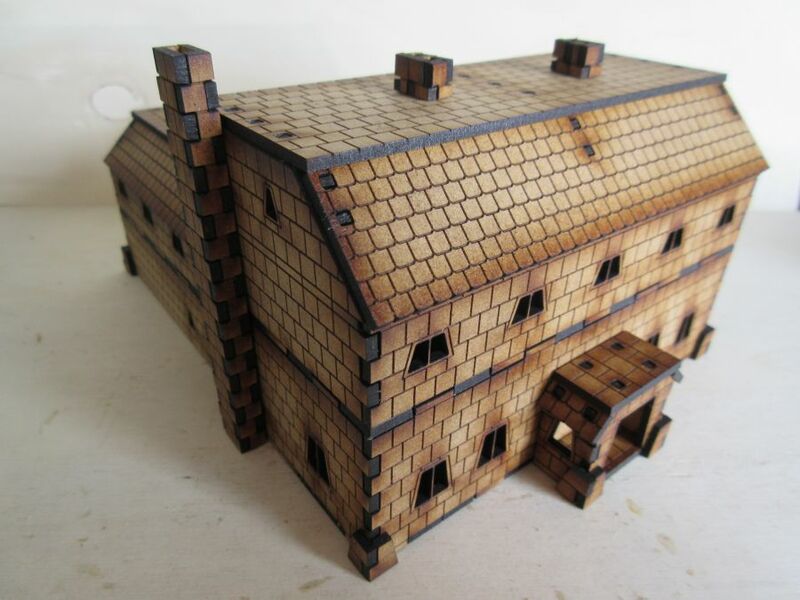 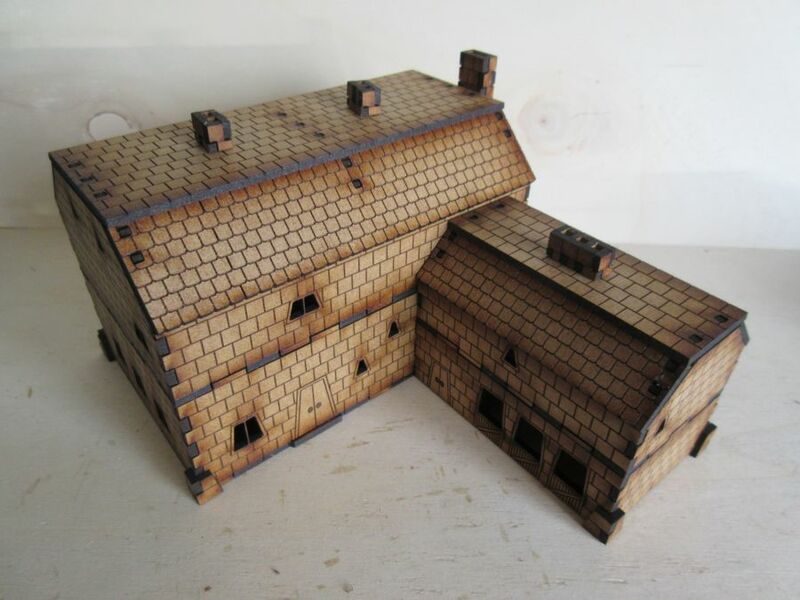 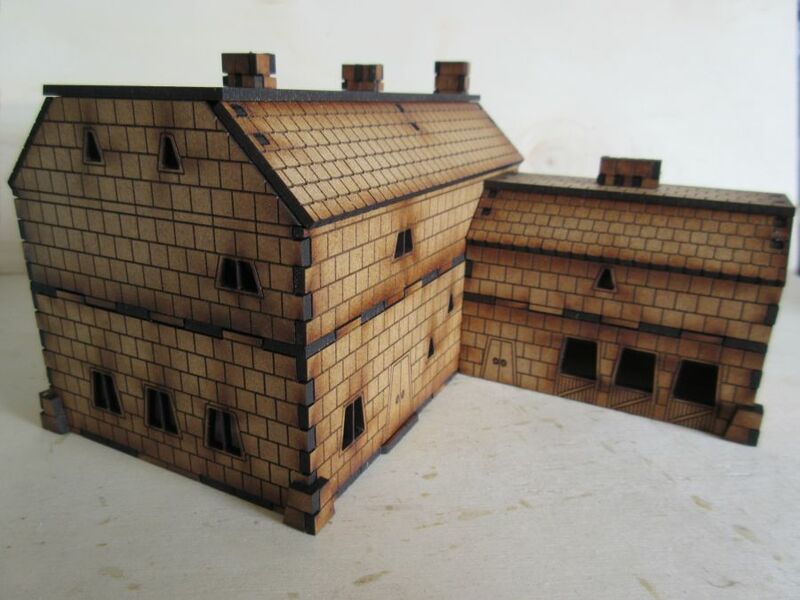 A Dwarf Tavern at 15mm scale. 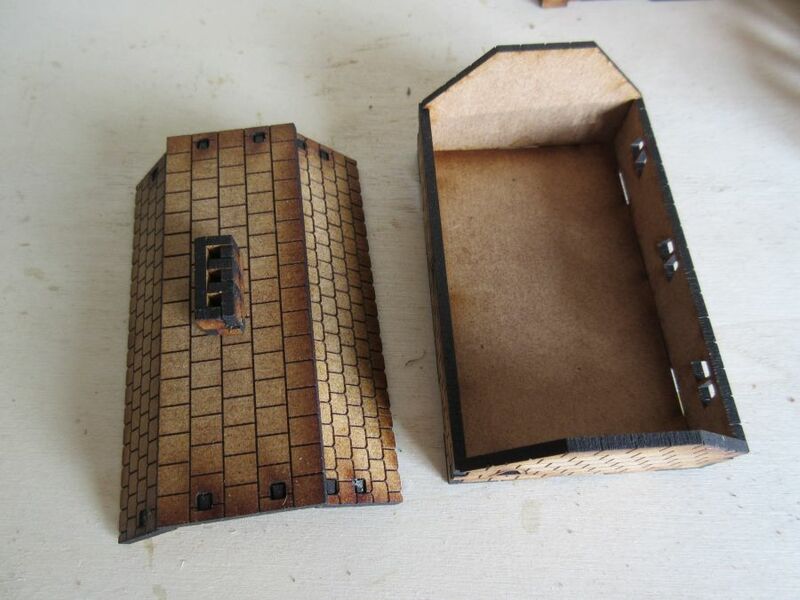 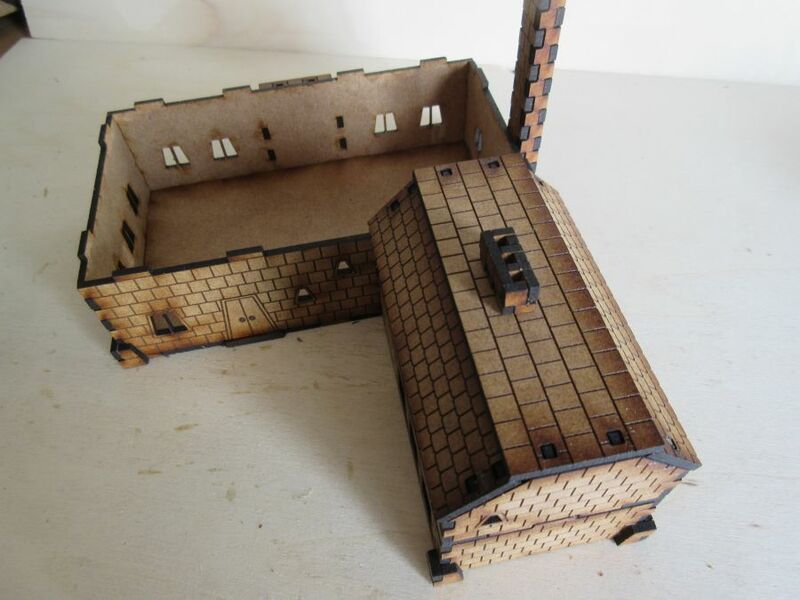 The roofs and upper floor have been designed to be easily removable to enable figures to be placed inside if required. 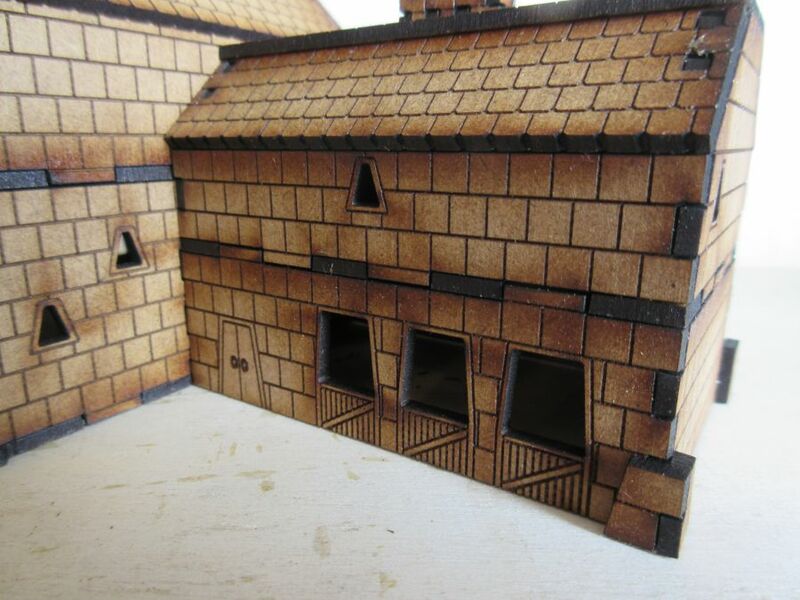 There are a number of different chimney options that can be added. 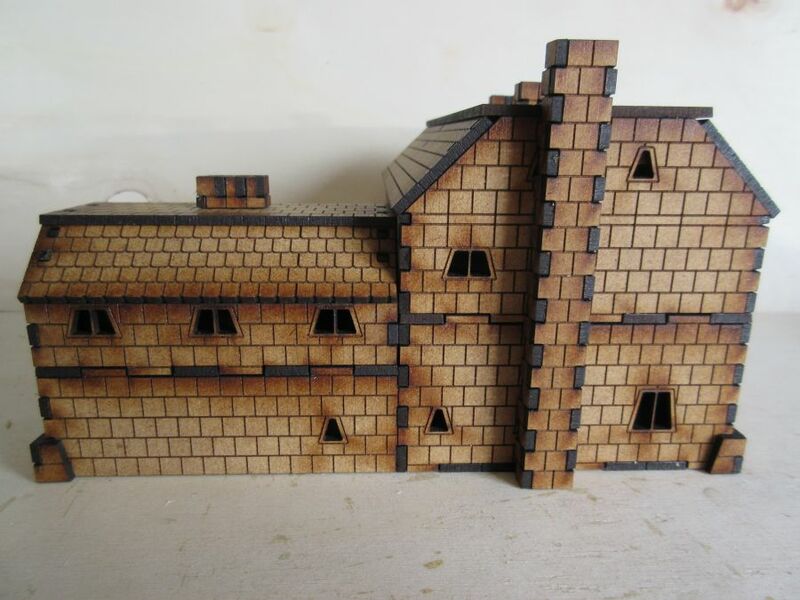 It is approximately 13.7cm wide, 18cm deep and 9.5cm high. 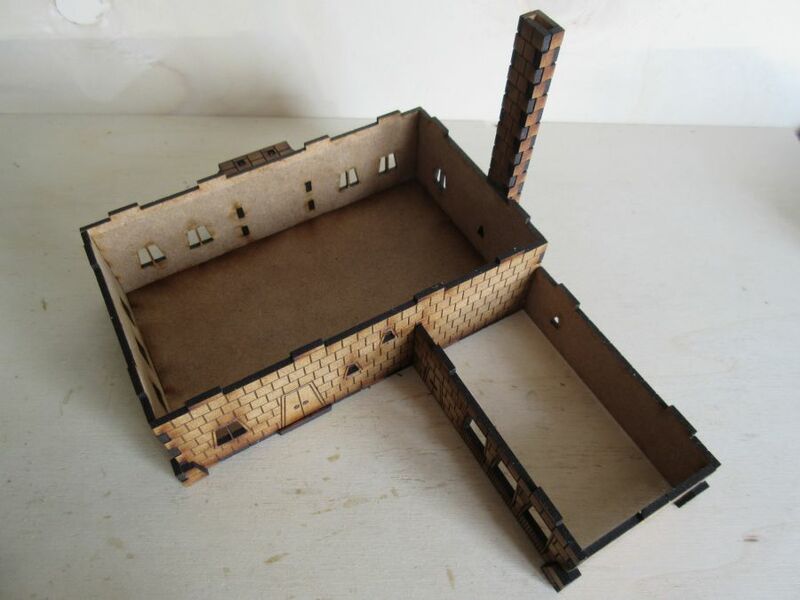 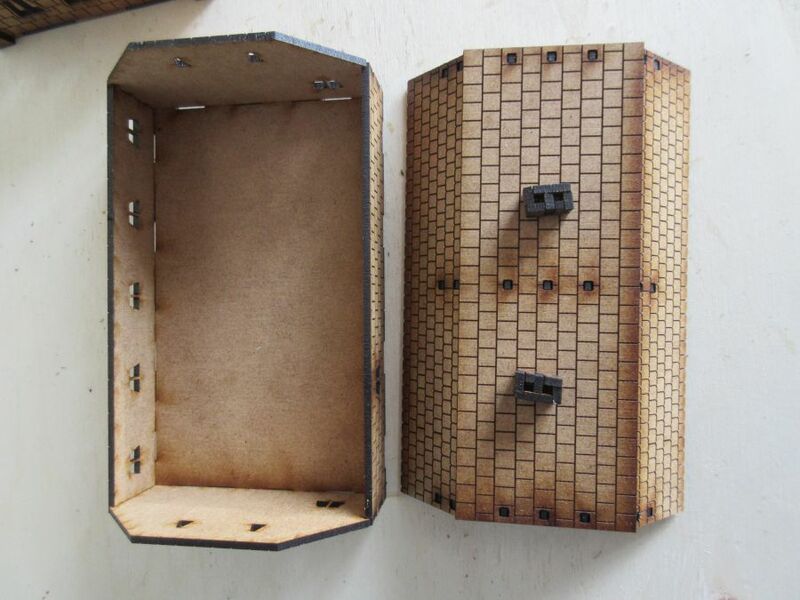 Laser cut from 2mm MDF this building is supplied unpainted and unassembled.